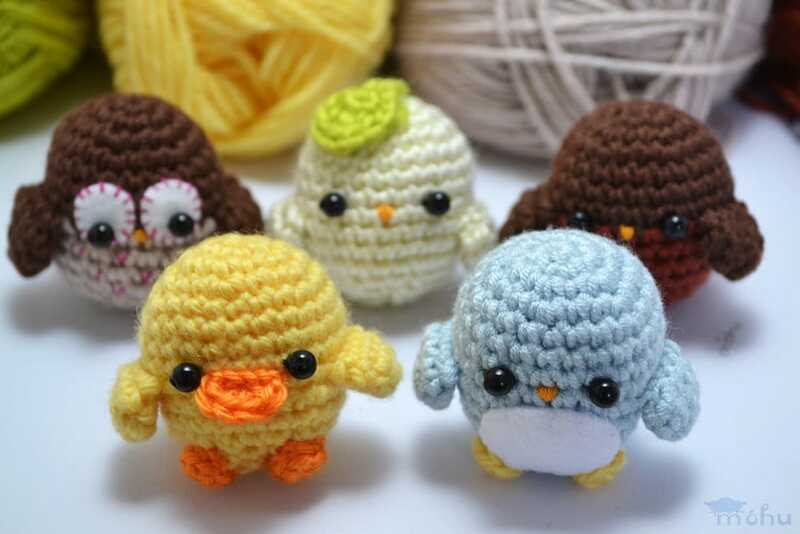 Use the same basic crochet pattern to make five different little amigurumi birds. 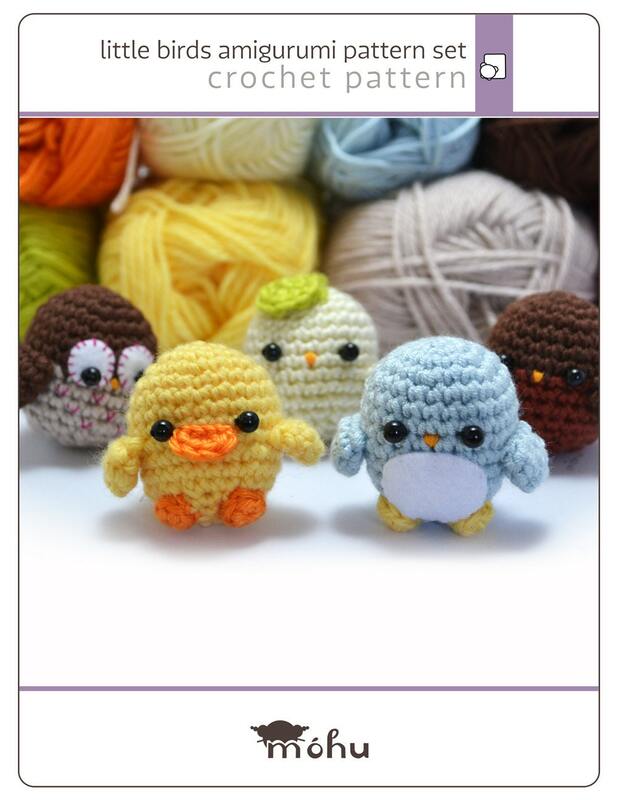 This instant download crochet amigurumi pattern consists of a 10 page pdf file. 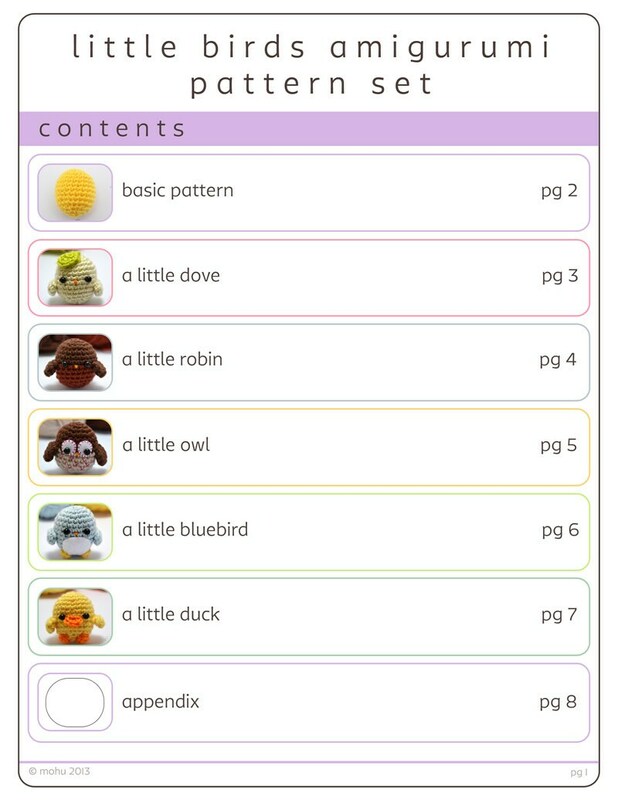 It contains a written amigurumi bird pattern, with instructions to make five different birds. There's a dove, a robin, an owl, a bluebird, and a cute little duck. The document includes 16 colour photographs, and a printable templates page for cutting out the felt pieces. Once your payment is processed, Etsy will send an automatic email notification telling you that your pattern is ready on your Downloads page. You can then download your purchase directly from your account. This easy crochet pattern requires knowledge of basic crochet stitches, and working in the round. It is written in American crochet terms. Single crochet, half-double crochet, and double crochet are used. These techniques are taught in the beginner's crochet guide, included in your purchase. 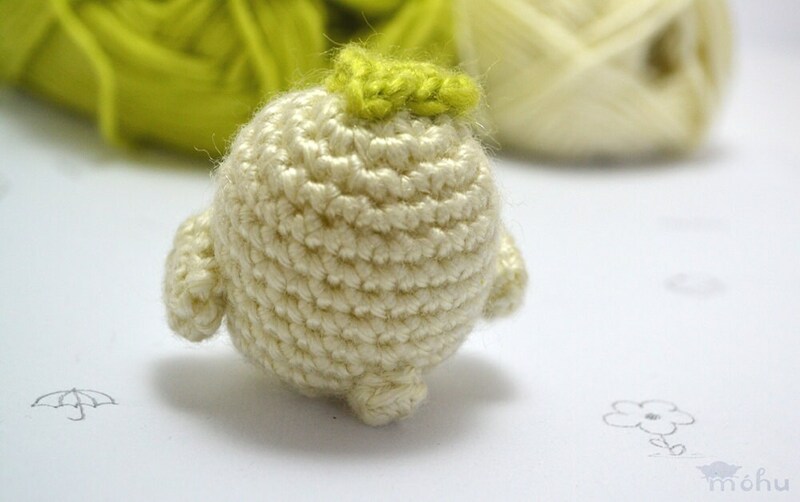 The pictured amigurumi birds are made with medium weight yarn and a 3.5mm (E/9) crochet hook. They are about 5 cm / 2" tall, and 4 cm / 1.6" wide. Each bird uses less than 20 m / 22 yards of yarn. 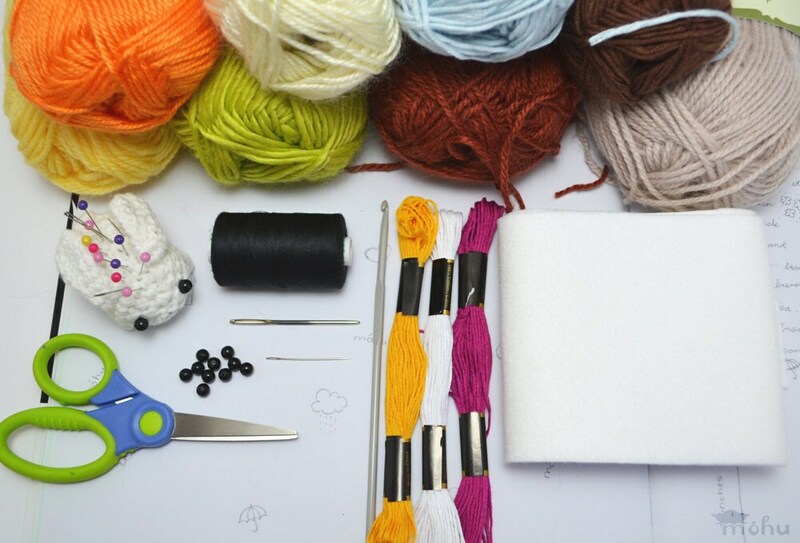 However, the exact gauge is not important, and you could use thicker or thinner yarn to make different sized amigurumi birds. The pattern also requires a small amount of white felt, embroidery thread, stuffing, and 6mm safety eyes or beads/buttons for eyes. Once you purchase the pattern, you can contact me any time to ask questions or get help (an email address is included in the file). You can also submit photos of your finished items to be featured on mohu's blog. Patterns and other digital downloads are intended for personal use. You may use the patterns to make items for yourself, as gifts, or for charity. Please don't distribute the files that you have purchased, whether in digital or physical form. I made all five practically at the same time! Everyone loves them!